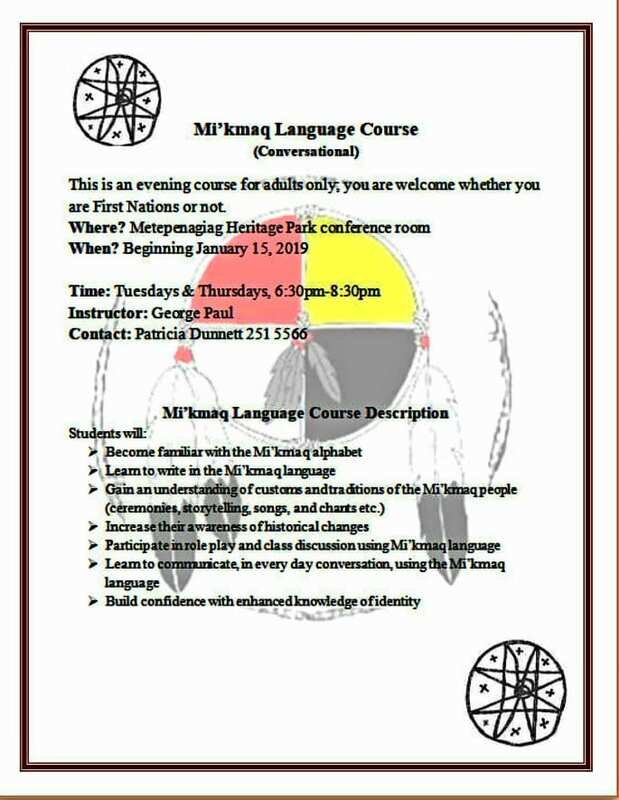 Beginning on Tuesday evenings, January 15th, 2019 and Thursday evenings, January 17th, 2019, from 6:30 p.m. to 8:30 p.m., for 12 weeks, come out to the Metepenagiag Heritage Park, located at 2202 Micmac Road, on the Metepenagiag (Red Bank) First Nation for a Mi’kmaq Language Course (Conversational). 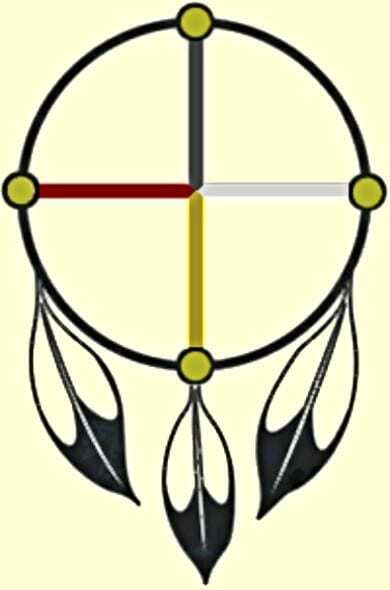 This is an evening course for adults only, you are welcome whether you are First Nations or not. 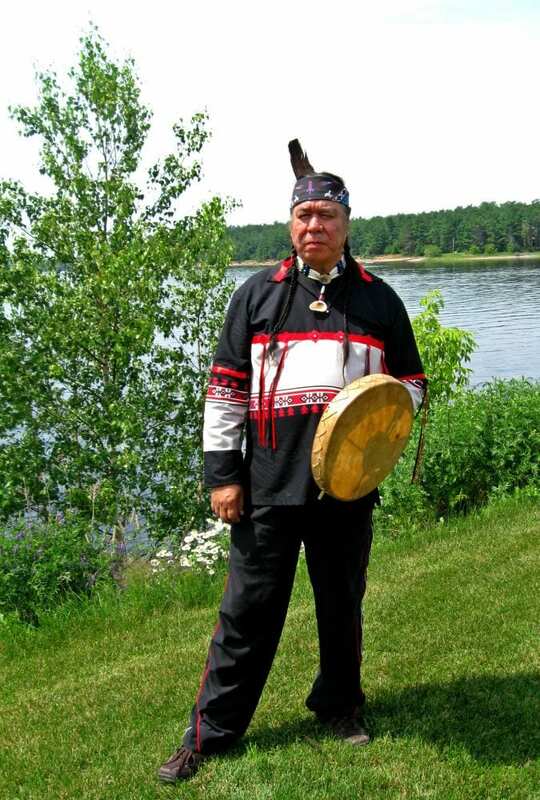 The instructor is George Paul. Contact and sign up as soon as possible by calling Patricia Dunnett at 1-506-251-5566. Admission for the course is absolutely FREE ! -Build confidence with enhanced knowledge of identity.